When it comes to dogs, owners sometimes have tunnel vision, seeing the world only from the perspective of their own dog or their own dog-training experience. This often leads to owners tossing out sentences that, in an ideal world, would never be uttered. Yet these words are clues to a bigger issue, or a situation that's about to become an issue, including not fully understanding dog behavior, social cues, body language, or simply good manners toward other dogs and dog owners. Training yourself is the most productive strategy for improving the behavior of your dog -- as well as other dogs that your dog socializes with -- because you are such a big influencer of behavior, even when you don't realize you're influencing your dog's actions. Dr. Patricia McConnell writes in her book "The Other End of the Leash: Why We Do What We Do Around Dogs," "Focusing on the behavior at our end of the leash isn't a new concept in dog training. Most professional dog trainers actually spend very little time working with other people's dogs; most of our time is spent training humans. Take it from me, we're not the easiest species on the block to train." But it doesn't have to feel daunting. Training yourself can become easier if you're truly seeing your thought process about your own dog and dogs you pass on the street. Once you recognize how you think about them, you can more easily influence what you think about them. And once you do that, better interactions will follow. All dog owners have been guilty of saying at least one, if not several of the phrases below. Of course none of us are perfect, and "should never" is basically an impossible aspiration. But if you catch yourself saying one of the phrases below, it might be time to ask yourself why you’re saying it and use it as a training opportunity to fine-tune how you're really viewing your dog and his behaviors. Here are 11 examples of things dog owners often say that should spark wariness about what's really going on. "It's okay, my dog is friendly." Just because your dog is "friendly" doesn't mean he automatically has permission to approach another dog or a person, nor should his unlikeliness to bite or pick a fight be an excuse for poor manners. If you find yourself assuring people that your dog is friendly, then it may be a good opportunity to look at the bigger picture about what exactly is happening and if your dog is being, well, far too friendly. "Oh, my dog would never bite." Famous last words — and words every UPS delivery person hates to hear because they are filled with naive confidence. Your dog might be the world's most goofy, loving dog but to quote a favorite song, "Never say never." (The irony of saying this in light of the title of this article isn't lost on me.) In fact, saying your dog would never do something is a red flag signaling misunderstanding, or worse, denial, about what your dog thinks or feels about the world and how that might change with age, illness, new family members or other experiences. But assuming your dog would never bite is perhaps the most dangerous assumption to make, since it makes you lax about monitoring interactions that could have serious consequences. If your dog has a mouth and any sense of what is going on in the world around her, she can and just might bite if pushed. It's better to know this fact and respect your dog's capabilities, comfort zones and boundaries just in case, than act as if the scenario could never pop up. "It's not my dog's fault." Maybe it isn't, but maybe it is. On the one hand, there are a lot of dogs that get the blame for reacting to the instigation of another dog. The biggest of the dogs, or the loudest, or the one of a certain breed, or the one that ends up on the winning end often gets blamed. However, there is a large portion of the dog-owning population who say, "It wasn't my dog's fault" and they are totally, completely, and utterly wrong. Not only wrong, but as much at fault as their dog who indeed started the altercation. This phrase is uttered too often by people who have little experience reading dog body language, and aren't interpreting, or simply aren't paying attention to, the signals their dog is sending out into the world. Small dog owners are an easy example; because the dog is small, many owners think it's acceptable — or worse, cute — when their dog stares at, postures at, growls at, or lunges at other nearby dogs. Their dog is small and can't do a whole lot of damage (or is easy to drag by the leash or pick up off the ground) when they act out. Sadly, though, it is indeed this dog's fault when something happens, even though they might be the smallest of the suspects. "Let them work it out themselves." This is one of the worst things you can hear (or do) in a social situation with dogs, especially at a dog park. There is an over-reliance on the notion that dogs have a built-in pack savvy that they'll revert to when they're among other dogs, so humans don't need to or shouldn't step in to manage social interactions. But many expert dog trainers and behaviorists will point out that a group of new dogs meeting at a dog park isn't a pack in the true sense of the word. Further, individual dogs might not know how to give or receive cues from each other to keep a situation from escalating. So as the social tension builds, the humans simply standing by creates a recipe for a fight or psychological trauma. Some dogs are bullies, some are fearful, some aren't so great at picking up the cut-it-out cues from others or just ignore them, some have overactive play or prey drives, some are resource-protective. Putting dogs with varying personalities together and letting them "work it out" is like taking the teacher out of a third-grade classroom and letting the kids figure it out among themselves. It's probably going to get chaotic, and someone is going to get hurt. Letting dogs figure things out among themselves is important, but to an extent. Professional dog trainer Erin Kramer points out, "Socialization is the process of a dog teaching another dog about proper behavior. So yes, a little education here and there about bite inhibition or being too bossy is a critical part of canine socialization. But any escalation beyond that, where you let dogs sort it out, teaches your dog two things. First is, 'I can't rely on my human to protect me or stand up for me.' And second is one of these two lessons: 'Fighting works (so I'll do it again and again),' or 'I hate other dogs, they are scary.' Any of those messages are the exact opposite of why you wanted your dog to socialize with other dogs in the first place." Leaving aside the possibility of a serious fight, when a situation escalates and an owner doesn't step in, there is an erosion of the trust and confidence the dog has in his owner which can lead to other behavior problems. Responsible dog owners don't let dogs "work it out themselves" — rather, they help their dogs have positive social interactions by managing the play situation, making sure all is calm and not letting things escalate. And if things do escalate, they step in to stop it. There's always warning. You just didn't see it. "Communication is a critical ingredient in any relationship, yet as our human interactions show, even between two members of the same species speaking the same language, this is not necessarily an easy matter," writes Suzanne Clothier writes in "Bones Would Rain From The Sky: Deepening Our Relationships with Dogs". She explains, "The language of Dog is not unlike our own human language. It is filled with nuance and subtleties, the sum of which -- examined within a given context -- provide a total communication. Like our dogs, we can communicate volumes without uttering a word, though doing so with great clarity requires awareness of our own bodies and the subtle meanings behind gestures." Dogs have an intricate though sometimes subtle body language through which they tell you and other dogs everything they're thinking or feeling. Sometimes dogs give warning after warning after warning before finally lashing out, and the human just didn't know what the dog was saying or that the dog was communicating at all. When someone's dog is attacked at a dog park by another dog and says, "There was no warning," what that person is really saying is, "I wasn't paying enough attention or didn't know enough to see the signals my dog and the other dog were sending each other and step in before things escalated." Don't blame yourself if you didn't see it. Dog body language can be hard to read and "conversations" can happen lightning fast. But don't say there was no warning. Instead, ask how you missed the warning and how you might catch it next time. This might be the case if your dog is play bowing to another dog, enticing another dog into a game of chase with a toy or fake-bolting. But it could also be a lot more complicated than that. This phrase is often said by owners whose dogs are being overly exuberant, being a bully, or are otherwise pushing the boundaries of acceptable social behavior. And often, the person saying this doesn’t know enough about dog body language and social cues to understand when another dog is getting fed up with their own dog's antics or, equally as problematic, their dog is not being playful at all. Perhaps the dog who "wants to play" is showing nervousness about the pecking order and is being overly submissive by face licking another dog and rolling over in a submissive posture. 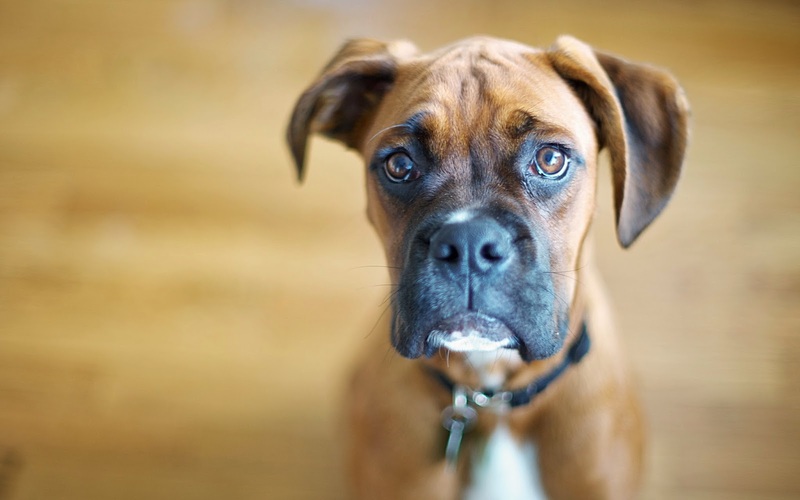 Perhaps the dog who "wants to play" is being a bully by nipping, barking at, or standing on another dog when their "play" partner is showing signs of frustration or fear. Cue the eyeroll from every person who owns a dog that doesn't like other humans. By assuming that a dog will appreciate your approach, you're opening yourself up to real danger for a bite. And even if a dog doesn't bite you, you may be causing psychological distress to a dog that doesn't want you so close — distress that could potentially lead to a bite later on down the road when the dog feels it needs to protect itself from people who come charging up saying, "Dogs love me." "My dog is great with kids." All kids? All the time? Or kids of a certain age or behavior? Kids act differently at different ages, and your dog who might be amazing with an infant may be less confident or patient with a bumbling, tumbling toddler with erratic, unpredictable movements. Or your dog who is tolerant of slower toddlers might have an over-stimulated prey drive when 7- or 8-year-olds are yelling, running around and jumping over furniture. Or your dog who is a saint with your kids and even the neighborhood kids might not be great when a new child comes along and joins the group; you just don't know until the situation pops up. Yes, your dog might be great with kids. And if that's the case, then wonderful and three cheers for your dog! We all want to have Lassies and Old Yellers and Good Dog Carls. But a dog who is great with all kids, all the time is rare. What family dogs are good at is having a high tolerance for most children, which is quite different from being a perfect playmate or nanny. It leaves the possibility open of your dog being pushed past their patience limits or comfort zones. So think carefully on the various boundaries you may need to put on this statement before you say this. "He's a rescue so [insert excuse for behavior here]." Personality traits like shyness, timidity and mistrust are sometimes just that: personality traits. And behavior issues like poor manners with other dogs, reactivity, or barking at strangers can't always be attributed to the mysterious past of your dog. Sometimes they're simply learned behaviors that need training to improve. 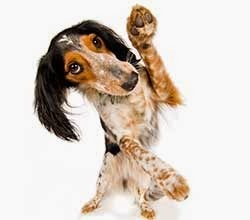 If you've adopted a rescued dog, then you earn a big high-five! But only if you aren't dramatizing the dog's status as adopted and letting poor behavior sneak by. "He's doing that to try and be dominant." The whole "dominant dog" thing has frankly gotten out of control. The word is flung around as a way to explain practically any misbehaviour from jumping on a person to digging through the trash to urinating on the bedspread. If your dog jumps on you or crawls on you when you're sitting on the floor, it's more likely that it's out of over exuberance and lack of solid training than because he's trying to show you who is boss. Even resource protection isn't necessarily a "dominance" issue — a dog just doesn't want to lose what he considers valuable, like a certain toy or a bowl of food. The fear and anxiety about that loss is as much a possible cause for a growl as a drive to be the leader of the pack. Assertiveness, confidence, a lack of confidence, pain or illness, excitement, exuberance, fear, mistrust, a lack of training ... there are far more accurate ways of interpreting a dog's actions than the tired old line of "trying to be dominant." McConnell writes, "Understanding social status is particularly important because misunderstanding what 'dominance' means has led to appallingly abusive behavior. So much old-fashioned obedience training could be summarized as, 'Do it because I told you to, and if you don't, I'll hurt you.' The assumption seemed to be that dogs should do what we say because we told them to; after all, we're the humans and they're the dogs, and surely humans have more social status than dogs." However, as McConnell goes on to point out, social status isn't all about dominance; it is a far more complex concept than one member of the family "pack" being the leader. Whittling everything down to a dominance problem means losing sight of the complexity of social dynamics and creates blind spots for understanding behaviors. Don't let the real reason for behaviors, and therefore appropriate and effective solutions for training, get ignored because the word "dominance" springs to mind ahead of anything else. Does he? Or does your dog know a certain way to behave only in a certain context? Dogs can have a hard time translating behaviors learned in one place, like your living room, to another place, like inside a pet store or a dog park where smells, sights, people and energy levels are completely different. A dog that has been taught to sit politely at your front door before exiting probably won't translate that to sitting politely in front of any door before exiting, unless you've gone through that exercise at tons of different doors and been consistent about it. It even goes for a different side of your own body; if you've taught a dog to sit on your left side but never practiced on your right side, then getting that dog to sit on your right side will take a little more time. To get a certain behavior from a dog consistently despite where you are or the specifics of what you're asking takes training the dog for that behavior in a wide variety of settings, under a wide variety of conditions, so your dog knows that "sit" doesn't just mean "that movement I do right before I'm about to get a leash put on" but rather means "put my rump on the ground no matter where I am or what is happening and keep it there until told otherwise." So before you get upset with your dog because "he knows better" or "he knows how to do that," take a look at the training history and ask, does he really? Remember, our dogs need us to be able to speak for them clearly and correctly. Fall is a great time to build some special memories with your pet: cozying up by the fire, taking in the crisp fall air, walking through fallen leaves, and enjoying all the sights and smells of the season. Now that the kids are back in school, your pet may be tempted to snack on some school supplies that may be lying around, such as crayons, markers, glue, or pencils. 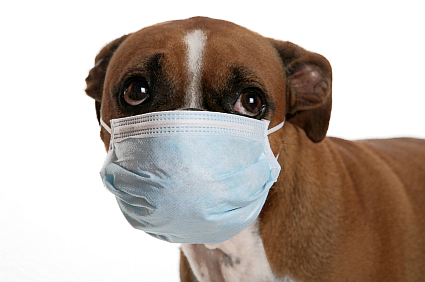 These objects can be a choking hazard or can be toxic for your pet to ingest. Keep school supplies in areas where your pet can’t reach them and share this important tip with your children. We do not recommend the use of rodenticides. However, their use tends to be higher in the fall, when mice are starting to look for somewhere warm to go for the winter. Rodenticides are toxic to more than just mice, so make sure they’re placed in areas not accessible to your pets. As an alternative, we recommend a holistic deterrent of vinegar and pepper mix spray. If you’re changing your engine coolant this fall, avoid ethylene glycol-based coolants and instead go for the less toxic glycol-based coolants. 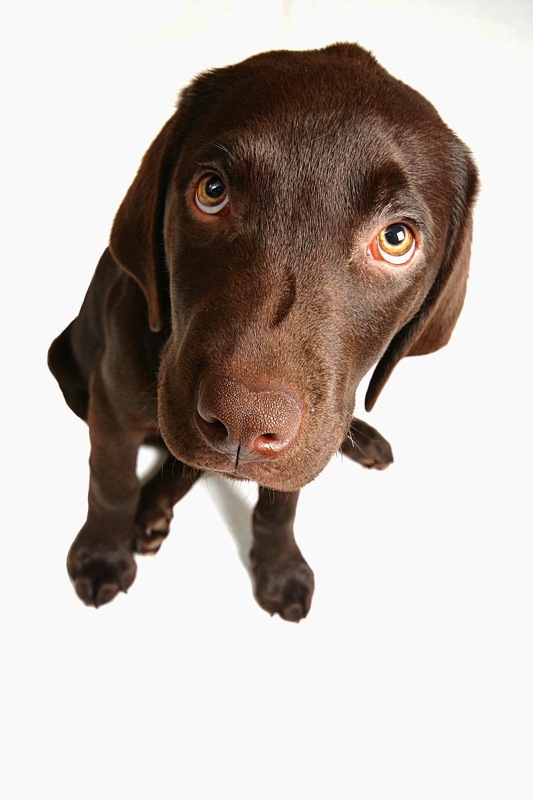 Glycol-based coolants could still make your pet sick if ingested, so any spills should be cleaned thoroughly. With days getting shorter, there may be less daylight during your dog walks. Make sure both you and your pet are wearing bright colours or consider purchasing a collar with an LED light. Keep your pet from getting too close to potentially dangerous heating sources. That means keeping your fireplace cover closed and keeping pets away from outdoor fire pits and electric heaters. Remember to also turn off electric heaters if no one is home. While most wild mushrooms aren't toxic, it can be difficult to distinguish a toxic mushroom from a non-toxic one. Keep your pet away from areas where wild mushrooms are found. If you see that your pet has eaten a wild mushroom, contact your vet or animal poison control immediately. As the weather gets cooler, snakes will start getting ready for winter hibernation. Make sure you’re familiar with poisonous snakes in your area and keep your pets from going off trail or in areas with long grass. 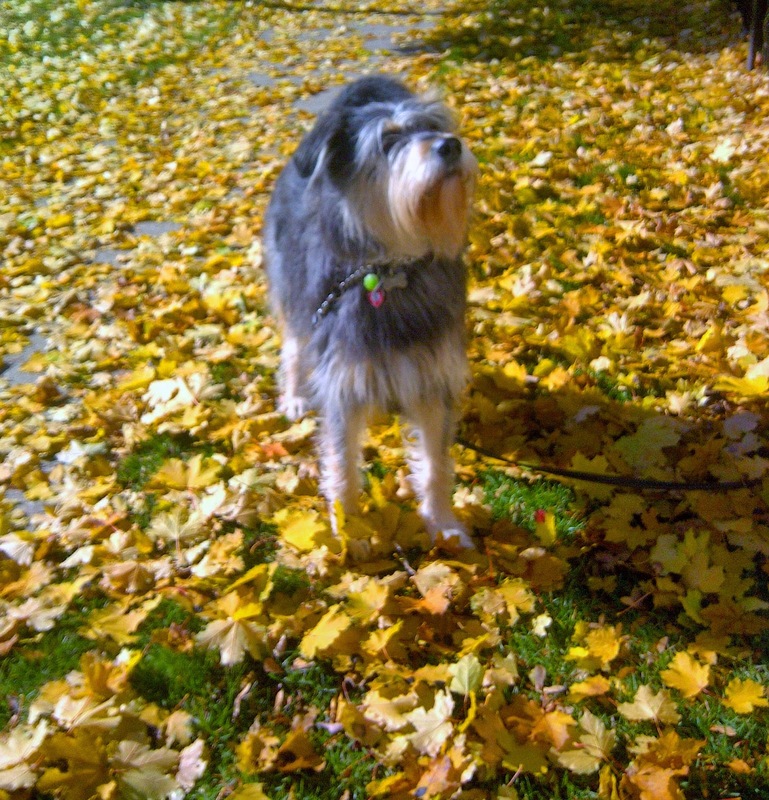 Following these tips this fall, can ensure your pets stay safe while enjoying the new season. Your dog brings you joy. Do you ever look over at her while she is sleeping and wonder if you make her as happy as she makes you? Is she as glad to be yours as you are to be hers? How do you know if your dog is content? All social species have the same basic needs, just different ways those needs are fulfilled. Clean water - The most basic and most vital need for dogs is fresh clean water. Give your dog virtually unlimited access to water. The only exception is limiting a few hours before bedtime when housetraining. Keep water bowls clean and free of debris. Make sure outside water does not freeze in winter or overheat in summer. Change water in outdoor containers often. Stagnant water can lead to disease. It doesn't have to be Evian, but it should be fresh! If your dog has a habit of knocking over her water bowl, it's not because she doesn't want water. It's because dogs live in the right now, and right now it's fun. It doesn't occur to her that later, she won't have any water to drink. Weighted water bowls will solve this problem. Good Nutrition - Ask a dozen people what dog food is the best, you will get a dozen answers. The elusive Absolute Best Brand has not yet revealed itself. However, there are better and worse choices. Feeding a quality dog food means your dog will be healthier from the inside out - from a stronger heart and bones to a shinier coat with less shedding and itching. The little extra money spent on a better food is more than made up for in fewer Vet visits. Nutritionally balanced dogs get sick much less often, fewer ear infections, fewer outbreaks of worms, fewer UTIs, and even fewer injuries. 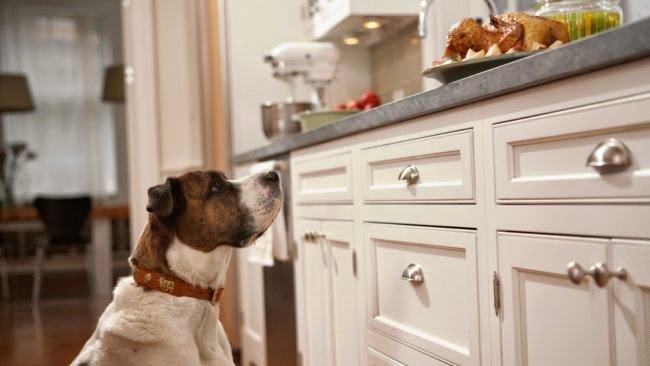 There is even evidence that better food makes for a better behaved dog, as well! A quality dog food will have meat as at least the first 2 ingredients and little or no corn as a filler. Dogs are primarily meat eaters. If your dog has a dull coat and flaky skin, it could be her food! In addition to the right type of food, your dog also needs the right amount of food. This is a case where you can get too much of a good thing. Being overweight causes health problems in dogs just as in people. Since dogs have a shorter life span than humans, the ill affects are even more severe for them. Overweight dogs are not happy dogs. Lucky for them, it's much easier for them to follow a diet than it is for us. We control their access to food. They can only eat as much as we give them. Feed them a measured amount on a schedule, usually twice a day, rather than free feeding. The dog food bag tells you how much to give. Even that is too much for some dogs. Observe your dog's weight and adjust the amount you feed her accordingly. A dog is at her ideal weight when you can easily feel the ribs and can see the outline of the ribs when the dog turns sideways. She is underweight if you can see the ribs easily, and overweight if the ribs and hip bones are not easily felt and she has no waist. Exercise - In addition to proper nutrition, exercise is vital for good health. Not only will it increase your dog's longevity, it will also decrease her unwanted behaviors. A dog's energy has to go somewhere. If she doesn't get enough exercise, she may find undesirable ways to expend that extra energy or even develop neuroses such as obsessive spinning. Just as you should see your doctor before starting an exercise program, so should your dog see hers! Some breeds need more exercise than others, and some cannot tolerate intense activity. Be sure your dog's exercise program is right for her breed. Good Hygiene - It's true, dogs love to roll around in the stinkiest thing they can find. They don't seem to mind being dirty or smelly. However, for a dog's overall happiness, cleanliness is next to dogliness! Dogs may not care how they smell, but people sure do. A smelly dog does not get petted by people and generally isn't allowed in the house, and a dog shunned to the back yard with little or no human contact is not a happy dog. Filthiness can also lead to health problems. For example, dirty ears can lead to ear mites which are itchy and can cause ear infections. Being too dirty can also be painful, especially for a long-haired dog. Mats in a dog's fur pull on the skin and are extremely uncomfortable. Nails that grow too long can cause a dog to walk awkwardly and lead to problems in their joints and muscles. Keeping coats brushed, ears cleaned, and nails trimmed is essential for a happy dog. Bathing too often can lead to dry itchy skin. Dogs need a bath only when they start to smell bad. If your dog is on a quality food, this won't be very often. Chew Toys - Dogs have a physiological need to chew. This is especially true for teething puppies. 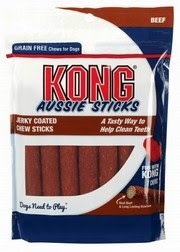 Providing them with safe chew toys will help them satisfy this urge without having to gnaw on your coffee table. Thick rubber toys like Kongs are a good option because they will not break apart and become a choking or obstruction hazard. Elimination - Dogs need reliable and sufficient opportunity to eliminate away from their sleeping area. Normal healthy dogs will not eliminate where they eat and sleep. Dogs who do use the bathroom in their dens do so because they have learned that they will not be given sufficient opportunity to eliminate elsewhere. For optimal happiness, make sure your dog doesn't have to hold it too long. In the wild, dogs are able to seek out shelter when they need it to get out of the rain, to shield themselves from the cold, or to find relief from the heat. In a domestic environment, we keep them confined to a limited area. They don't have the option to go out and look for adequate shelter. Therefore, it is up to us to provide it. The ideal place for your dog when it's raining or cold is in the home with you. Most dogs are happiest living inside with you. It's also the easiest way to provide appropriate shelter. However, if your dog is one of the few who prefer living outdoors, or bringing her inside is not an option, you can make sure she is well-sheltered outdoors. Some breeds are simply not equipped to deal with cold weather and should not be left outside in winter. This includes most of the small breeds and the short-coated large breeds, such as Dobermans. Remember, these are man-made dogs. Cropped coats and tiny dogs do not occur in nature. Likewise, some breeds are not equipped to deal with the heat of SC summers and should not be left outside in hot weather. This includes the arctic breeds such as Siberian Huskies, Alaskan Malamutes, and St. Bernards. These dogs living outdoors are not only unhappy dogs, they are also not safe! They could literally die from the heat. Happy dogs feel safe in their environment from threats either real or perceived. Dogs who live confined outdoors but without a physical fence are not secure. Invisible fences and chains may keep the dog in the yard, but they do not keep other animals out. A dog living this way is a sitting duck. She is vulnerable to attacks from coyotes, other dogs, and even mean people, and she has no way to escape. The dog who lives this way is not a happy dog. A happy dog trusts her owner to not put her in harm's way. She knows exactly what is expected of her and what happens when she doesn't follow the rules. She does not fear her owner because she knows he will do her no harm. She is also not overly dependent on her owner because she feels secure in being alone sometimes. A trained dog is a secure dog. Dogs are social animals who thrive on companionship with others. They are unique in the animal world because they enjoy companionship with people as much as they do with other dogs. A dog who lives in a backyard with only minimal human contact is a lonely dog, like a hermit living on an isolated mountain. The happy dog gets lots of ear scritches and belly rubs. She gets to associate with lots of different people and dogs because she has been well-socialized and trained in basic obedience and manners. She is a dog who can go anywhere, and people are happy to see her. Do dogs have a sense of self-esteem? 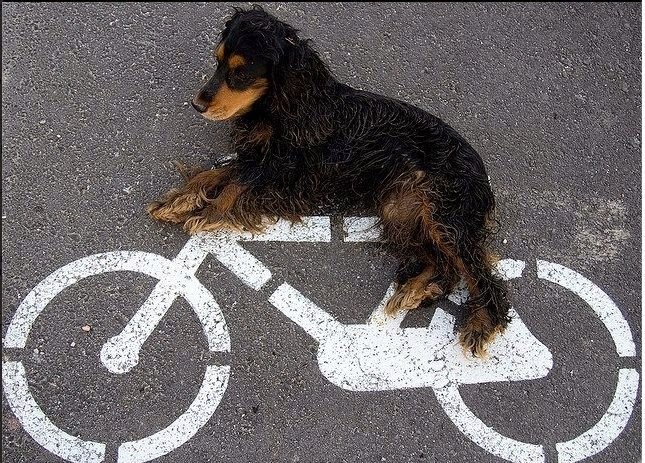 If you doubt it, just watch a dog who has accomplished a complicated task. See how she holds her head high and struts! Dogs need to have confidence in themselves and their ability to master tasks. Training a dog builds her self-esteem. It makes them feel good to master the perfect Sit and earn your appreciation! Learning tricks is fun for dogs. There are also all sorts of canine sports available that dogs enjoy. Agility, flyball, ultimate frisbee, and lure coursing are just some of the examples. 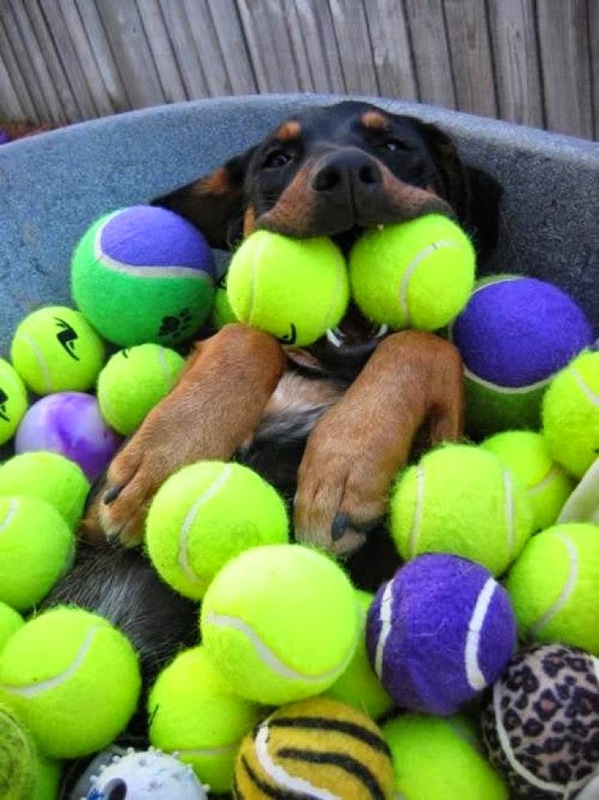 A dog with a hobby is a fulfilled dog. Dogs are more than just instincts. They also have the ability to think and problem solve. They need to experience more than just the same old scenery of their own home. 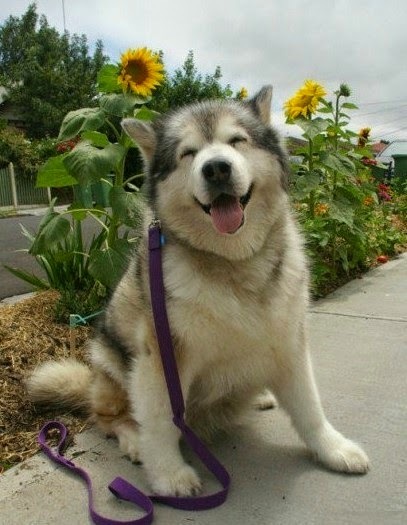 Mental stimulation leads to a happy dog. Just walking a different path and letting her smell new smells and see new sights provides mental stimulation. At home, puzzle toys like the Buster Cube let her put her brain to use. You can play games with her like hiding and she has to find you, or hiding a treat that she has to find. Learning new tricks also works her brain. Put her to work. 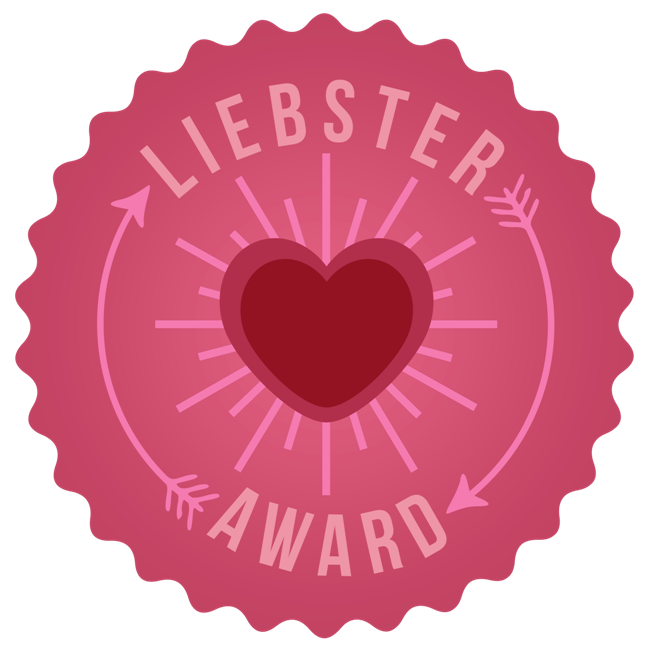 Make her fetch the paper (make sure it's safe first) or bring you a drink from the fridge. Yes, working makes for a happy dog! The meaning of life is to live it. The secret to a happy dog is to help her live a fulfilled life. That means she actively participates in it. She plays, goes places, and does things. 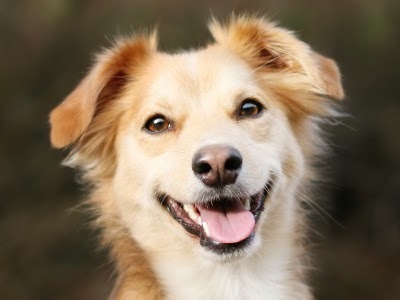 Basically, the secret to a happy dog is not much different at all from the secret to a happy person.